Sales tax is a fact of retail life for book writers in many U.S. states. And collecting and remitting proper sales tax on books is serious business, with many states (and countries) cracking down on internet retailers who sometimes circumvented the rules governing tax collection. 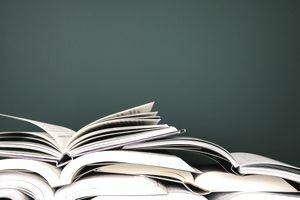 Depending on the state, authors who sell their own books directly to readers may be obligated to collect and remit sales taxes to their state tax authorities and perhaps out-of-state authorities as well, depending on where you do business. If you intend to sell your own books in any capacity — at book fairs, trade shows, off your author website, etc. — you need to know what rules and regulations apply to you in the locations where you will be selling your books. For example, New York State requires that nearly every person who sells taxable, tangible personal property or taxable services (even if you make sales from your home) must register with the Tax Department before beginning business. However, New York State does make exceptions for what it terms a "casual sale," an occasional or isolated sales situation. So, if you're not generally in the business of selling books to the consumer and you sell your books for three days a year or less and make less than $600 from the sale, you are exempted from collecting and remitting sales tax. For example, if you sell your books for one day at the Brooklyn Book Festival and only make $250, you don't have to remit taxes. If you make $1,000, you're liable for taxes on the sales you make over $600, or $400. If you sell your book at a different New York fair that's four days long, you're obligated to collect and remit sales taxes on the sales during that fourth day. And, of course, there's a form for doing that. Assess your potential for selling your own product. Will you attend trade shows? Sell books at speaking engagements or signings? Are you selling (and shipping) your book directly to the consumer through the internet? Note that if you're selling your self-published book through a dealer at a trade show, an internet retail entity, such as Amazon.com or bn.com, or a publishing service acting as a retail entity, such as Blurb or Lulu.com, the retail entity making the sale is responsible for collecting sales tax. Investigate the state and local rules for collecting and remitting sales tax. This applies if you're participating in events and selling your books directly in other locations as well. Make sure to understand what sales taxes you're responsible for collecting or engage a vendor to sell your books for you and take care of that. Check with your accountant and with the state's department of taxation and finance (or your equivalent government agency), as well as with any states or countries in which you intend to do business. Many of these state agencies have robust and informative websites. If necessary, register the proper paperwork with your state tax commission in order to become an approved tax-collecting vendor (in New York State, you would register to get what is called a Sales Tax Certificate of Authority). Make sure to collect the correct amount of sales tax when you sell your books, keep a record of transactions, and give the book buyer a receipt that indicated the amount of sales tax he or she paid. Remit the sales tax collected to the appropriate tax authority on a timely basis. For example, some states require businesses to remit taxes quarterly. In the "casual sale" example above, New York State requires that the taxes are remitted within 20 days. Make sure to stay abreast of changing tax rules, because they do tend to change. For more useful tax information for book authors, learn about whether your book writing is a business or a hobby for tax purposes and what kinds of tax deductions book authors should take.